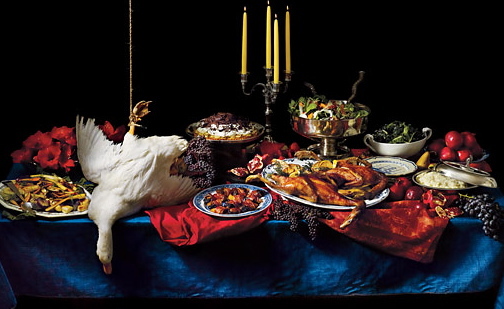 NY Magazine’s photos of holiday feasts in their Nov. 14th issue seemed inspired by 18th century Dutch masters. What could be more apropos this time of year than thinking about food? In France, there’s a famous saying that one is always either eating a wonderful meal or talking about the next one. I’ve decided to assemble a charming holiday gift list revolving around food. For your favorite food lover, a Panier Cadeau from Dean & Deluca, containing a curated selection of comestibles from France. For those who might prefer to read and discuss food, Penguin Books has released a charming series called, Great Food. It’s comprised of 20 adorable books including, Alexander Dumas’ From Absinthe to Zest; Agnes Jekyll’s A Little Dinner Before the Play; and Alice B. Toklas’ Murder in the Kitchen. Nate Waxman, of Kitchen Arts & Letters Bookstore, will be happy to wrap up a selection from the series for you. Ladurée, one of the most famous Paris pastry shops and creator of the Macaroon, has now opened a shop in NYC. Sadly, it’s not the tea room we had all hoped for, but you can buy beautiful boxes of macaroons. To fully bathe in the Ladurée experience, you could also give the gift of one of their most charming suede-covered cookbooks, Savory or Sweets. For your film lovers, you can give a copy of the most charming film about food, Julie & Julia. Watch it with your closest friends and then take them to your favorite restaurant to enjoy a feast together. 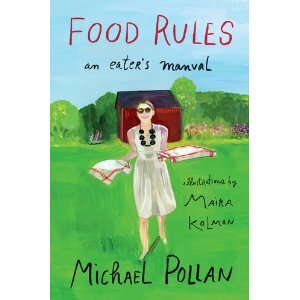 Food Rules: An Eater’s Manual, by Michael Pollan & Illustrated by Maira Kalman. A slim volume of wisdom that has changed how we think about food. 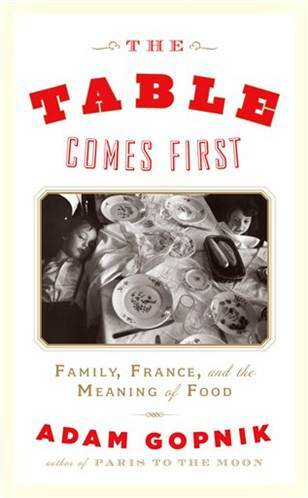 The Table Comes First: Family, France and the Meaning of Food, by Adam Gopnick. Everything you ever wanted to know about why the meal is so important in France explained by my favorite Francophile.